A modern day romance played out in full view of the world, now immortalized in Barbie Doll fashion. From a young age, people everywhere (particularly girls) play dress up games and pretend to be royalty (princesses). The Kate Middleton Wedding was a bit like a fairy tale come true as both William and Kate made vows, the world's heart swelled. Now, Barbie dolls have been made for anyone to keep as a collector's item. It truly is like Barbie and Ken being made flesh. We all watched as Charles and Diana wed in 1981. The world rooted for them and unfortunately watched on as their marriage disintegrated. It was a real shock, however when Princess Di, the caring princess, was involved in a car accident that took her away completely. Thirty years on, we all watched again as William, Princess Di's first child took Catherine Middleton to be his lawfully wedded wife. A ceremony that was broadcast around the world, akin to a fairy tale as a regular everyday girl gets discovered and is married to a prince. Suddenly, she is a princess. Catherine (Kate) Middleton, born in 1982 in Reading, UK was born into a family that had no claim to a title. Her mother's family was made up of labourers and her father's family seemed to be involved in the church and various other municipal concerns. Kate's parents started out as flight attendants. However, in 1987, the Middletons started a family business which seemed to turn their fortunes around. It would seem that one result of their change in fortune was their ability to send Kate to an upper class independent University which brought her into contact with the future King of the UK. Did they imagine that their little girl could become a Queen? What must it be like to be born a Prince, to know that there is a very great chance that you will be King of the United Kingdom? Are you ever allowed to play like any of the other little boys? How do you choose a wife? How do you know if she has chosen you for your prospects? It is after all, every little girl's dream to become a princess. Prince William has lived a bit more varied life than is usual for a Prince. His mother, Princess Di, wanted to make sure that her sons were exposed to as much of real life as was possible in the limitations of their station in life. Most of his life has been lived in the Public eye though there was an agreement in place with the Press to allow him to grow up free from haranguing. 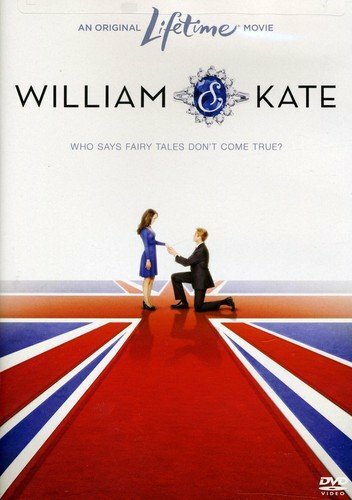 Did You watch Kate wed William? They formally announced their engagement in 2010 and then the country was taken up in a whirlwind of activity and anticipation as we eagerly awaited another royal wedding. 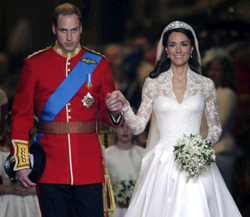 On 29th April 2011, with everyone having the day off, about 26 million people in the UK watched live as William and Kate took their vows. She looked stunning and has since been referred to as a princess of style. Surely, this is the stuff Dreams are made of! I do hope they live a long happy life together. 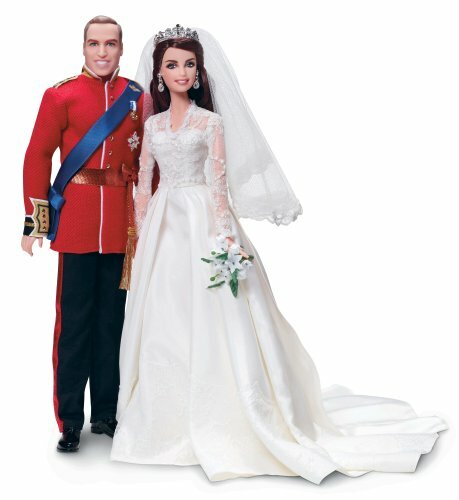 To mark the first wedding anniversary of Wills and Kate, Mattel has decided to release a limited edition Barbie Collector Gift Set featuring William and Kate in their wedding attire. Looking at the pictures released by Mattel, they are quite a good copy of the real deal. The Set is set to be officially released on the 17th of april this year but can already be pre-ordered from Amazon. It is an Adult Set though I imagine some children will love owning this although at that price, a regular Barbie might well be a better buy for play. The Gift Set is a perfect gift for a fan of the Royals and a fan of a lovely fairy tale story - Every gil's dream. Please click on the Image of the Royal Wedding to pre-order the gift Set. Definitely a great idea! The dolls might even increase in value as long as they stay married, or maybe despite them! I've been wanting to start a doll collection for myself. It's true, there is an online museum of magickal dolls, poppets and ritual effigies that showcases dolls used in magical contexts across cultural and religiomagical traditions. by Judith Glynn. When Cleveland, Ohio closed 37 Catholic churches, St.Hedwig's Church became a museum for restored religious artifacts.